Among the most used appliances in your home, your refrigerator is commonly used by all members of the family. Be it cooking, storing produce that you purchased from the local store or some delicious snacks that you would like to save for later in the day. It goes without saying that without a refrigerator, you would have to cook for every meal and increase your trips to the department store. Though refrigerators seem sturdy, they may seem to suffer from daily wear and tear like most appliances and require the attention of a licensed technician. But before you go in for a repair, you should pinpoint the source of the problem. Take time to determine the reasons that caused the problem so that they do not reoccur and find a solution to the problem. You should refer to the guide to give you a list of quick fixes that need not require you to call professional. This could either mean unplugging, replugging or buying some replacement parts to fix your refrigerator. Well, you’re in luck if you have a home warranty because almost all of them cover refrigerators. For a fraction of the price, you will have your refrigerator fixed based on the limit of the warranty assured. 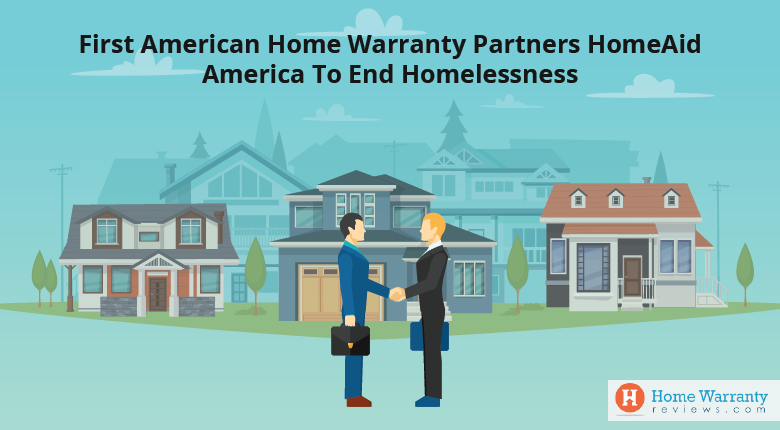 This means that you should read through the fine print and check what the amount that your home warranty plan is willing to part with to make sure that your refrigerator runs well. This could mean anything from a simple repair to a complete replacement provided the new appliance has the same efficiency as your current refrigerator. 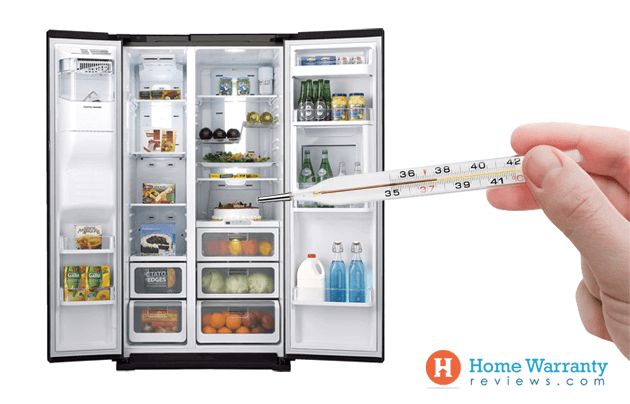 This being said, let’s talk about the major refrigerator problems that you should know about and what are the fixes to these problems. This is a serious problem and should not be taken lightly as it is dangerous to people walking around the kitchen. This is a bit tricky to fix and usually is caused by several factors. The two most important causes have quick and easy solutions that do not require a professional. The first and most common reason why this is caused is due to a blocked defrost drain. This defrost drain is situated on the back wall of the freezer and this is above the slope from the floor to the back. The other reason could be based on a buildup of food particles or debris that can clog the drain hose, leading to ice buildup and water leaking out of the fridge and freezer. The easiest way to fix this is by draining the hole from the inside using warm water. Simply use a long, slim instrument like a pipe cleaner or a turkey baster to clean out the clog. In case this does not resolve the issue then you might have to remove the buildup manually. Find the defrost drain hose in the back of the service panel by pulling your fridge from the wall. You should know that this hose has a rubber valve that helps catch and remove debris from clogging. Just wash the value with hot water and soap and reinstall it. Usually, a clogged or frozen water supply can cause water leak on the floor and a small puddle of water beneath your fridge. In some cases, this also prevents the icemaker and water from working efficiently. You should know that in order to fix this, you have to unplug the refrigerator and find the shut-off valve. This can be found beneath the sink and behind the fridge. When you locate it, make sure that shut it off and keep it closed and then check the supply line. If you find that it is broken or torn then you should replace the water supply line immediately. Did you notice that you perishable food is getting spoilt quickly or it is not frosty as it should be? For most homes, this is a common issue that arises and a quick fix. If you notice this issue about your freezer then you should check the back wall of the freezer if it is cold. If you find that it is cold then check the evaporator fan if it is running or if you can feel air flowing from the freezer vents. If it is not working then it is a problem that concerns the freezer evaporator fan. If you feel the airflow and hear the fan running then you should review the refrigerator’s compressor. 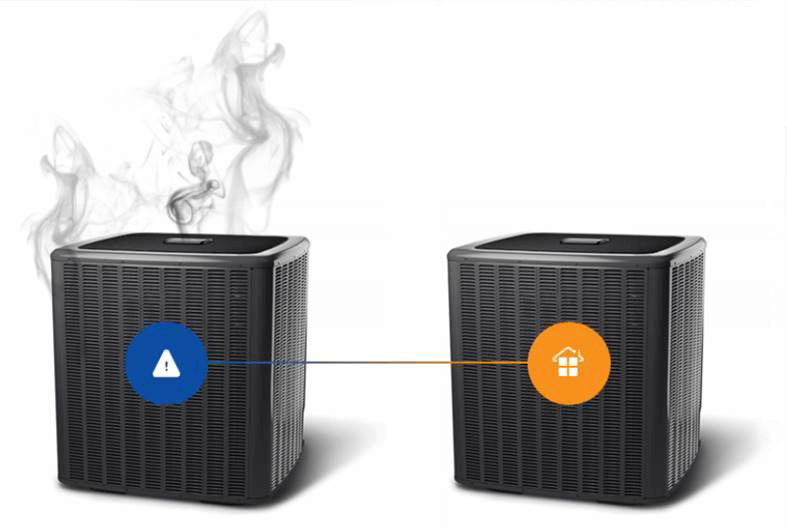 Simply clean and dust the coils to ensure that dust is not preventing it from functioning. These condenser coils release heat from inside the fridge into the room. But if the coils are clean and this problem continues, then you can look to trade in your fridge. You should know that if the fridge or freezer is not cooling then your food will get spoilt. This is a common issue that is faced by most people and can be fixed easily. If you experience a problem with the freezer unit, then you should check whether the back wall is cold. When you find that it is cold, you should listen to the evaporator fan running or if you can feel the airflow from the freezer apertures. If you cannot hear this sound then it could mean that the issue is due to a non-functional freezer evaporator fan. If you can sense the air flowing and hear the fan running, you should examine the refrigerator’s compressor. Clear the dust particles that prevent air from moving in the coils. The condenser coils should release heat from inside the fridge into the room. If your condenser coils seem clean, then you should invest on a glass door refrigerator. It’s not fun to own a noisy fridge. If you must know, it is not only noisy but it can expensive and heavy on the pocket. There are a couple of things that can cause your fridge unit to cycle way too often. The first being the buildup of debris or dust around the condenser coils. You should fix this and begin unplugging your fridge. This condenser coils are located at the bottom of your fridge and can be reached from the front or the back. To find the condenser coils, you should first locate the grill and remove it by taking it out of the snaps that hold it firmly down. Once you do this, you should vacuum it to remove the buildup of dust and debris around the condenser coils. Also, you can use a cloth to remove the buildup of those hard-to-access areas. Once all the debris is removed and dusted, you should put the grill back and put the refrigerator plug back in. The other problem is caused if your refrigerator unit is set at a temperature that is too low. This will cause some food to get spoilt but also makes the entire fridge work overtime. Remember to set your fridge below 40 degrees Fahrenheit at all times. So this means that you should check the thermostat on your fridge from time to time and ensure that it runs at the right temperature. Despite this, if the problem is not rectified then you should make sure that you call a technician and request them to check for defective parts like a condenser fan motor or a thermostat sensor. You should learn about the how the refrigerator is connected to the freezer unit. In most cases, the cold air generated in the refrigerator comes from the freezer unit and flows into the fresh food section. So if you find that the fresh food compartment is warming up, it is because you have an airflow problem. The freezer has an evaporator fan that moves cold air from the freezer to the fresh food compartment in the fridge. This air moves with the help of a diffuser and this is located at the back of the fresh food section. If you can hear the sound of the refrigerator evaporator fan then you will feel the air flowing from the freezer vents. If you are still facing an issue then this is due to the diffuser duct being clogged with ice. This usually prevents air from passing through and often caused by the door being open for a long period. But, if you cannot hear the evaporator fan running in the background then you will hear an uncommon humming noise, which means that you should invest in a new motor for the fan. At times, you may notice that there is a sheet of ice on the freezer floor. There could also be instances where the water drips into the fridge once in a while. This is usually because of the blocked defrost drain. 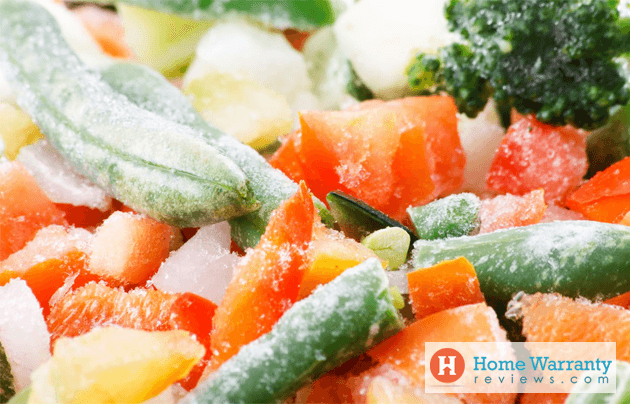 You can fix this quite easily by simply storing food somewhere else for a little while, unplugging the fridge and allowing it to defrost to resolve this problem. You can take an extra precaution by removing the back wall of the freezer before you plug it back in again. Look for food particles and remove them as they are clogging the small hole at the base of the evaporator coils. After all of this, if the problem persists then you should consider and drain heater to assist with the defrost process. 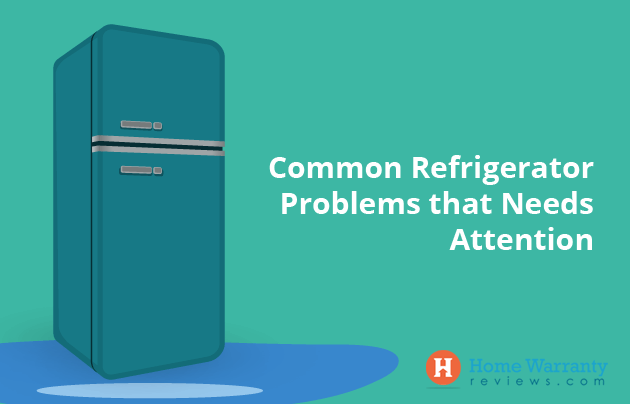 One of the most common refrigerator problems is relatively easy to fix. In order for ice to fall from the ice dispenser, it should be able to open and close. This door that opens and closes and allows ice to fall is a damper door. When the damper door is lined with a special material then it seals against the ice shoot and creates an airtight seal. If this material on this door is malformed or dirty then it may not be able to seal properly and this results in moist air entering the freezer compartment. When the air cools down, it turns into frost causes airflow issues and cooling problems. When you encounter this problem, you should inspect the damper door from anything that causes air to leak. You could clean up the dirt or buy a replacement part to solve the problem. Though this is a common problem with several causes, it is usually caused due to a problem with the water inlet valve. If the water pressure is low then it may not fully close when the power is turned off. In time, this results in a valve leaking water into the ice maker causing the ice maker to overflow. You can solve this problem if the water pressure is at least 20 psi. When you check and ensure that the pressure is just right then you know that you have a defective water inlet valve if the problem persists. Also, it can shut off completely or may be stuck open causing water to leak through the valve. Therefore, you should make sure that ice maker does not overflow with the right water pressure and once your water inlet valve is replaced. When your fridge freezes food then you know that there is a problem with the thermostat. This is because the thermostat controls the voltage to the compressor and the evaporator fan motor. So if it is not working correctly then it might cause the refrigerator system to run longer than usual and makes it way too cold. You can figure out if the thermostat is faulty if it is rotating from the lowest setting to the highest setting and when you listen to a click. If the click is noticed then you know that the thermostat is not defective. But, if you do not hear a click then you have to use a multi-meter to test the thermostat from time to time. If it does not have a continuity setting then you should replace the thermostat. The most common reason is that the water tube in the door is frozen. You can figure out the source of the problem by disconnecting the tube at the bottom of the door and blow out the air. If the air does not pass through, it will show a telltale sign that your water supply tube is frozen. You can thaw it out and fix this problem. To prevent this from recurring, you should check the freezer and set for proper temperature set anywhere between 0 to 10 degrees Fahrenheit and not lower than this would make the water line freeze. The second cause is due to a faulty water inlet valve. This valve opens the water supply to the fridge’s dispenser. If the valve does not work well or if the water pressure is too low then the water valve will not open. Ensure that the pressure is at least 20 psi and only if the problem persists should you buy a new water inlet valve. Lastly, if you have insufficient water pressure it could result in the water dispenser not working properly. Clear the vents that blow cold air into the fridge or freezer and check if there is a good amount of airflow. Vacuum the coils under or behind the refrigerator to help with cooling performance. Even after this, if you find that the fridge is not getting cold then it could be because the fan or the evaporator fan is broken. A qualified technician will be able to repair the appliance and check for further issues. Usually, old freezers are prone to frost buildup and if could be experiencing this due to a cracked door seal that allows warm air to enter. This is a common cause of frost in the freezer. If this is not the case then there must be something wrong with the refrigerator defrost sensor and you would require professional help to assist with the repair. Also, don’t forget to check the energy saving ratings before you buy a refrigerator. Shut off the valve to the household water supply before you start troubleshooting. Pull the fridge away from the wall and look for any kinks or tears in the water supply line. Make sure the water inlet valve is open. Check the water filter for debris and replace it if necessary. At times, the water inlet is not to blame and it could be due to the ice-making mechanism malfunctioning. In this case, you should let a professional handle this repair. When you move a fridge to a new home, you should ensure that it is kept upright when transported. A fridge may not work properly for a while when it is laid down as the lubricant escapes from the compressor into the cooling pipes. This means that when you run the appliance immediately after it was kept on its side, the compressor could get permanently damaged and the fridge could be rendered useless. In case the fridge is laid down, you should give the fridge a few hours to settle before turning the appliance back on. There are several problems that occur and it would be better to ensure that a professional tends to it. At times, you may worry about food going bad but with the right policy, you may get reimbursed for it as well. In a few hours after your service call, you will have a technician from a home warranty company tend to your fridge and getting work in a jiffy. 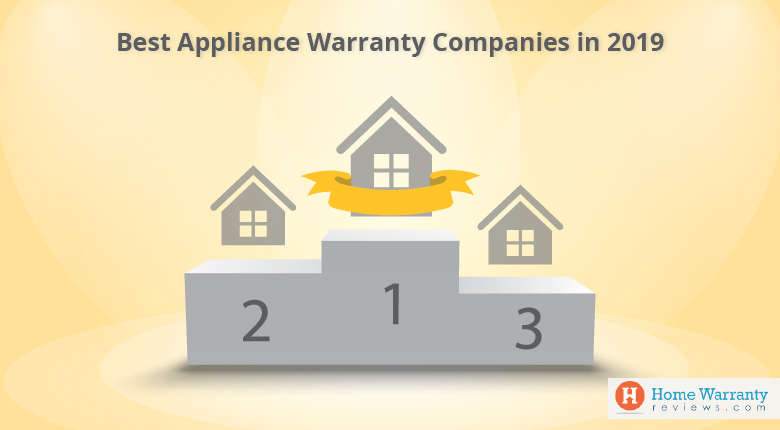 In case, you are experiencing any of these problems then you should connect with your manufacturer or the home warranty company that you have signed up for. Also, you can review refrigerator maintenance tips to be on the safer side and help prevent your refrigerator from breaking down. 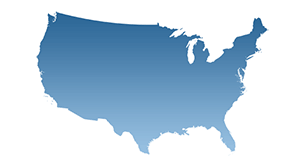 If you do not have a home warranty then you should sign up for one by requesting for a free quote and deciding which home warranty is best for you based on the ratings, reviews, and awards.